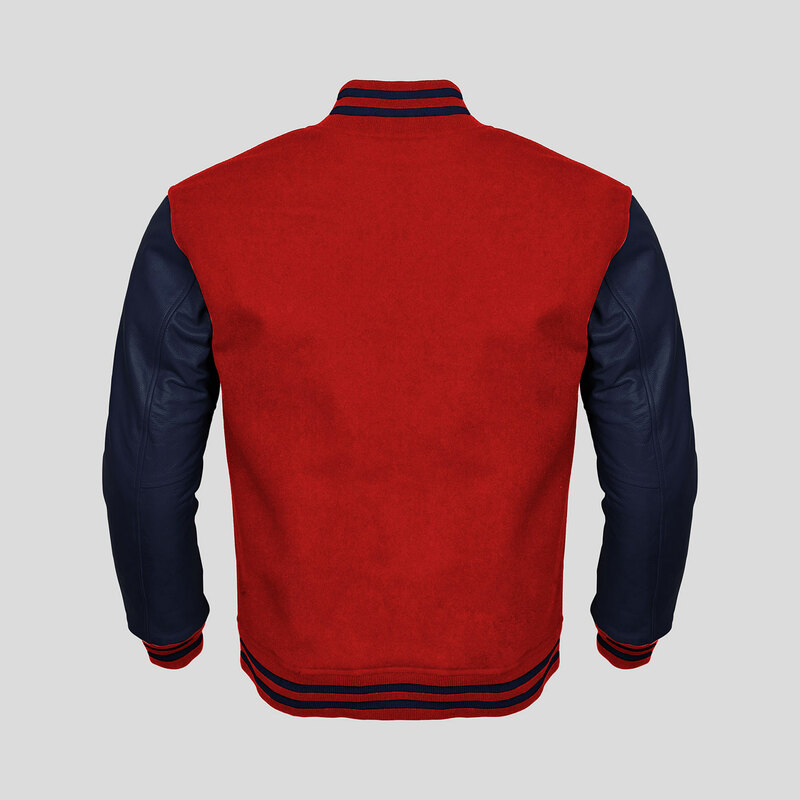 This varsity letterman jacket features finest red melton wool & real navy blue cowhide leather. Featuring two slash pockets, one inside pocket, laser quilted lining. Full snap front closure. Matching tricot waist, cuff and neck bands gives a classic look. Clothoo varsity letterman jackets are made with high quality leather and wool. If you wear carefully your jacket will last for many years of wear and tear. Genuine cowhide leather sleeves and pocket welts. Thick Laser Quilted Lining with Dacron Fibers Filler. 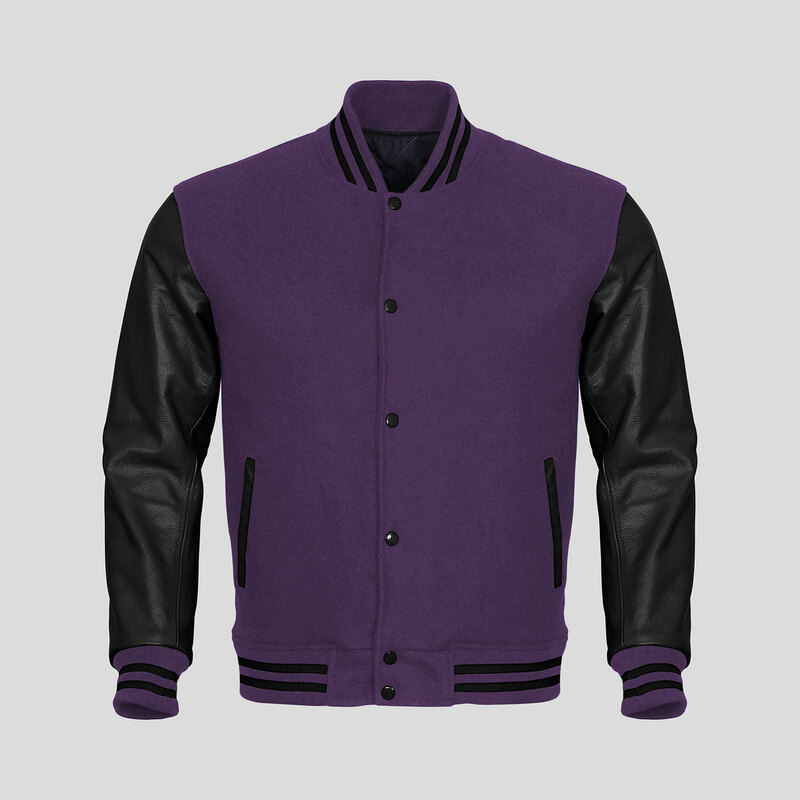 All of our custom letterman jackets are 100% customizable. From colors to material and jacket size everything is under your control. 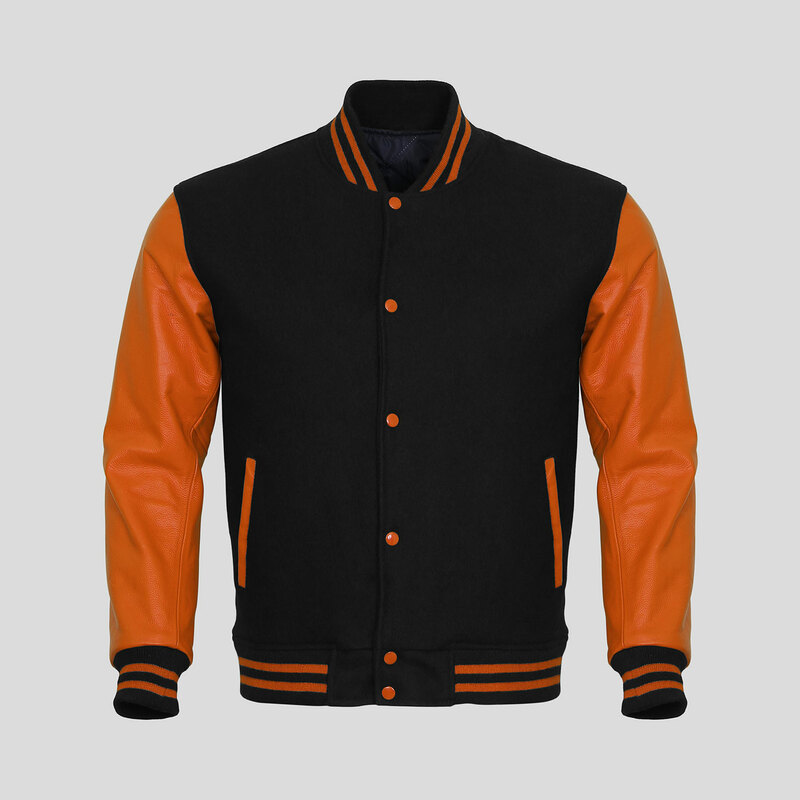 You can add your own varsity patch, logo or numbers or your logo. You can choose jacket?s body and sleeves materials you like . Collar and cuff ribbing colors are also changeable. You can also provide your exact body measurements using our Jacket Design Tool and get ready to receive perfect fitting jacket. Ensure care instructions are carefully followed. We recommend using a shaped or padded hanger. Store in a cool, dry, well ventilated place away from direct sunlight. We recommend the use of a leather protector to prolong the life of your jacket. Do not iron nylon, prints, trims or embellishments. Do not leave with white and contrast coloured panels soaking for prolonged periods. We always want our jacket to sit on your back ASAP, however all custom made varsity jackets (with or without lettering) ship in 12 - 15 working days and takes 3-5 working days to deliver. We ship all orders in the United States and rest of the world by DHL and Fedex. Once your order has shipped our shipping department will send you an e-mail and update the status on our website.